Marketing is responsible for your company’s awareness. Connections. Ultimately, sales. No pressure! Marketing technology meant to make this big job easier but has actually made marketing harder. It’s created an insatiable content monster. 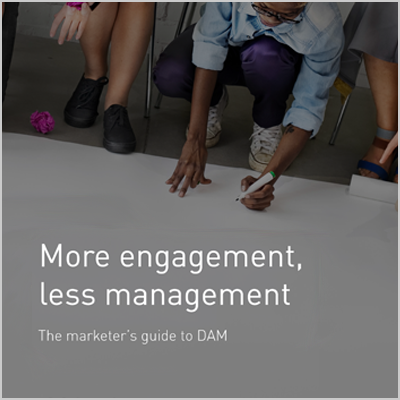 Check out our guide to discover how marketers are relying on digital asset management to feed the content beast a healthy and sustainable diet.